Crab Cake - Hello everybody, welcome back with ZetiraKitchen! today i want share to you how to make Delicious Crab Cakes. Crab cake is a kind of fishcake which is made with crab meat, bread crumbs, milk, mayonnaise, eggs, and some seasonings. You can add red or green peppers, sliced pimientos, or yellow onions for perfectly flavor. 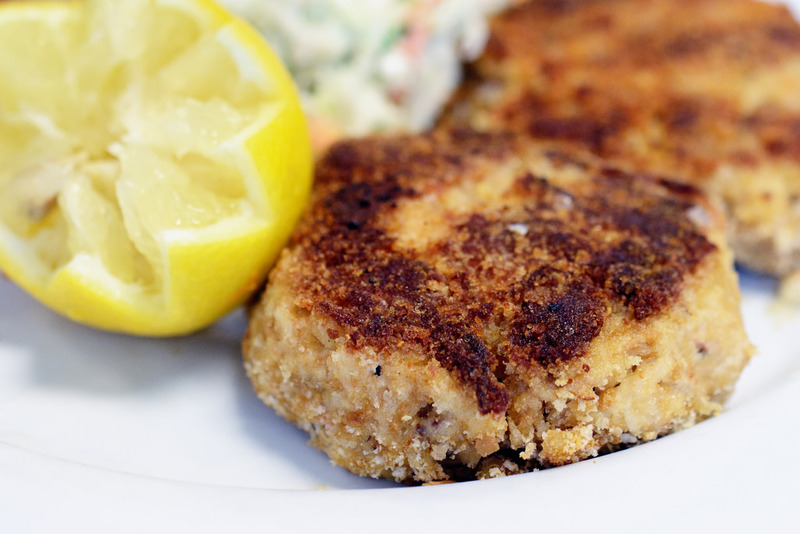 the crab cake can be baked, grilled, sautéed, and broiled. The step to make it is very easy. so let's begin! Beat the egg in another bowl and add the mayonnaise, hot sauce, and mustard. Put the egg mixture with the other ingredients and mix well. Shape into patties and place it on the greased broiler.